CUSABIO specializes in antibody production and customization service. Centering on antibody, we have established a series of technology platform and animal breeding base. 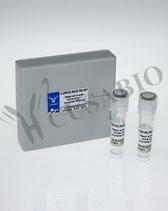 The monoclonal antibodies are produced by professionals who work on antibody for many years. Our mature technical route and reliable quality will save your produce time and energy. We can provide customers with high-quality monoclonal antibody products by screening and verifying every production step strictly. Combined with our kit development platform and diagnosis reagent R & D team, we can guarantee the application of monoclonal antibody products in the field of detection. So far, we have produced a variety of monoclonal antibody materials in diagnosis reagent level, which are praised by customers deeply.